Be the star of the party in this amazing silver dress! It comes in three sizes and is made out of polyester. It is short and perfect for the summer, with a bold V cut and thin spaghetti straps. 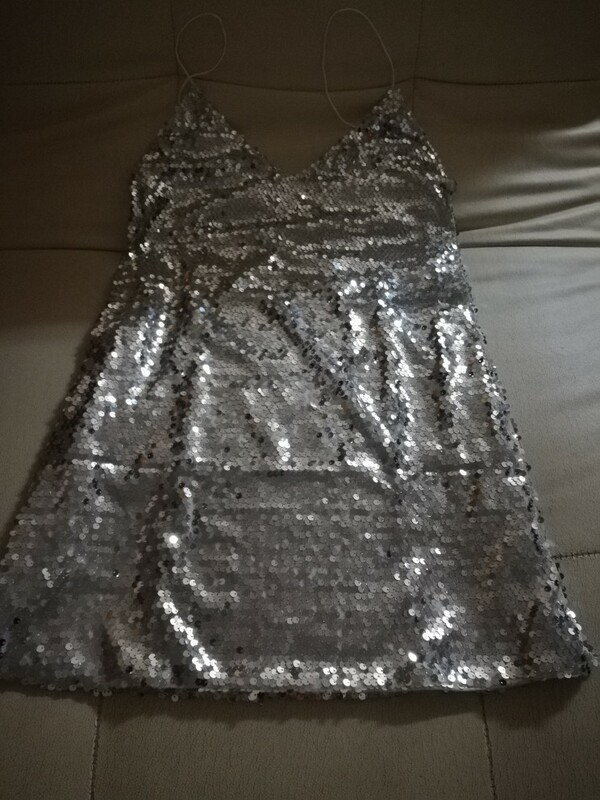 Super shimmery and elegant thanks to the sequin, you can wear this dress to any event. Девочки!Качество огонь!доставка быстро очень в самую западную точку России доставили за 2 недели!размер подошёл идеально (единственное надо подшить лямки они чуть длиннее чем положено ),а так все просто огонь!!! !Р Е К О М Е Н Д У Ю! 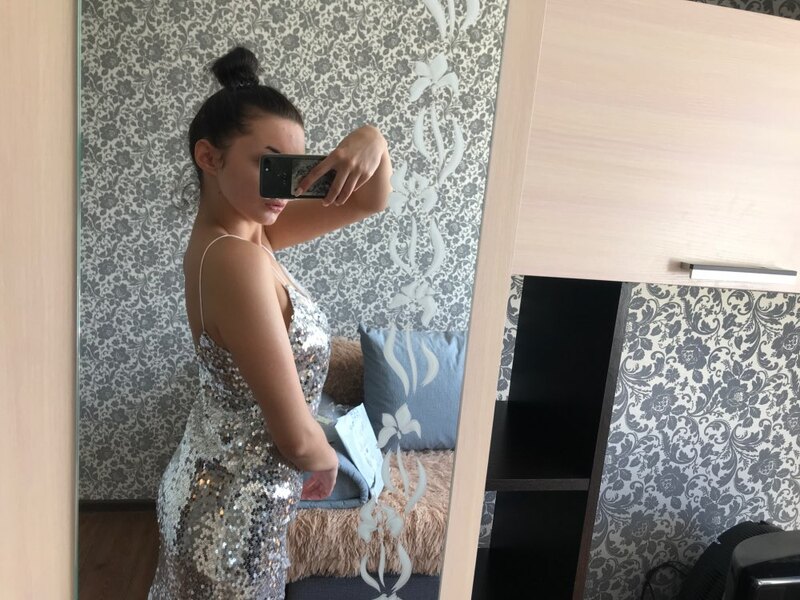 dress fits good I'm normally size 4-6 and ordered M.
dress fits good I'm normally size 4-6 and ordered M. straps are a bit too long but can fix. The product is good i like it and thank you.